Ever imagined donning the hat of your favorite character Sherlock Holmes to crack a M**der case? Have you desired to be tagged as a ‘Real Hero’ by being part of a rescue mission? Or did you yearn for a chance to be a Super Cop on an assignment to diffuse the bomb in the middle of a city? Breakout gives you a chance to do exactly that! 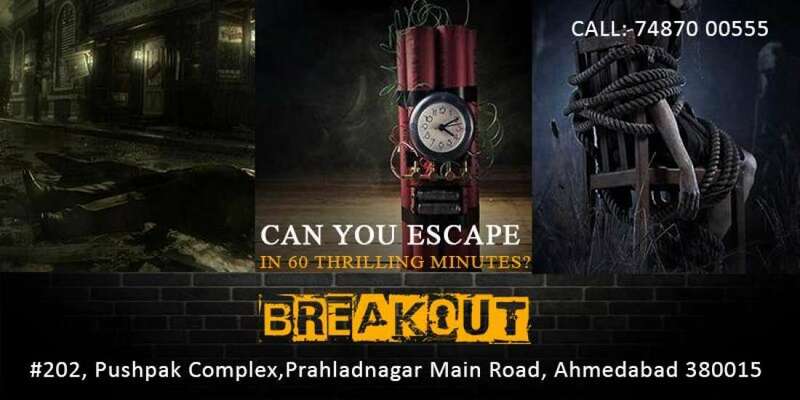 India’s only movie-styled Escape Experience is now here in Ahmedabad. You, as a team, are on a mission! Can you find and decipher the clues hidden at the most unlikely of places or staring right at your face and solve the mystery?